APRIL 25TH is World Malaria Day and this year, the theme/central concern bothers on the need to "END MALARIA FOR GOOD". 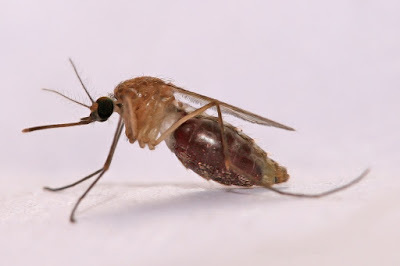 Simply defined as a life-threatening disease that is caused by different species of a menacing parasite called Plasmodium,transmission occurs via bites of annoying parasite infected female Anopheles mosquitos resulting in symptoms like:intermittent fever (high body temperature), moderate to severe headaches, generalised body aches said to be worse in the joints, vomiting and generalised weakness with complications like organ failure, loss of consciousness and death in severe cases;especially amongst children,pregnant women and non-immunised expatriates in the Sub-Saharan region of Africa. 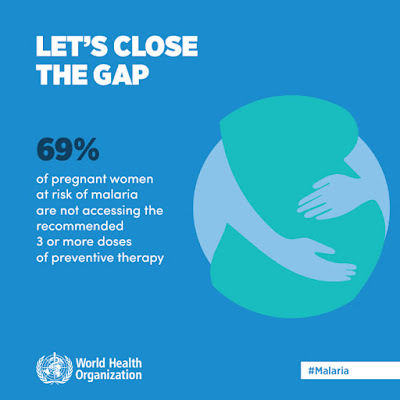 As a follow up to the theme, the World Health Organisation (WHO) is laying emphasis on "CLOSING THE PREVENTION GAP", since the best way to eradicate any disease is to prevent it from occurring in the first place. 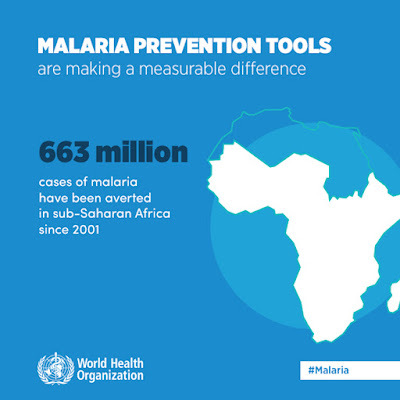 Major gains have been made over the years in the war against malaria, as WHO statistics reveal that global incidence and mortality between 2010 & 2015 fell by 21% & 29% respectively but there however remains a huge prevention gap amongst people at risk as noted in the INFOGRAPHICS below. In addition to the above mentioned,we must all join hands together in the fight to "END MALARIA FOR GOOD"! 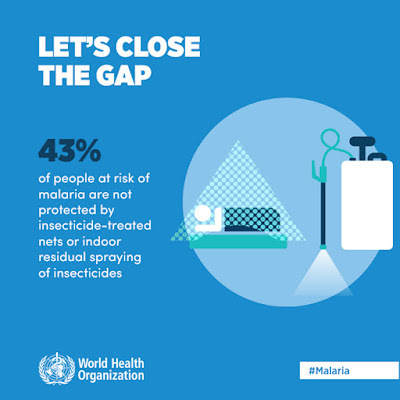 Dirty gutters and stagnant pools of water or overgrown grasslands that serve as breeding sites for mosquitos have no businesses around our environments. Pregnant women must attend Antenatal clinics all the way and children must be taken to hospital when symptoms are noticed. Expatriates from non-endemic regions must visit their General Practitioners for adequate preventive therapy before traveling to endemic countries and very importantly, adults should desist from self medication and go for appropriate testing when symptoms are noticed. There are other conditions that present with what we refer to as malaria-like symptoms and if you keep stopping by the patent chemist store to pop anti-malarial medications with every headache and perceived body pain or weakness,then sooner than expected, you will be caught up in the dangerous web of drug resistance that is developing slowly. 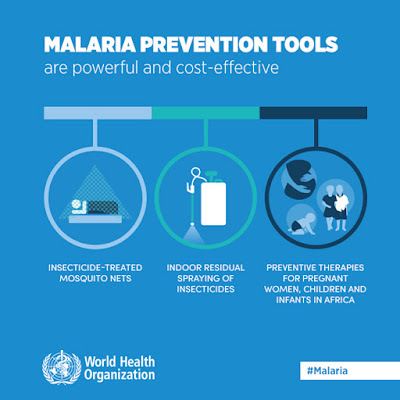 For more information on World Malaria Day 2017 and Malaria as a disease condition,consult references below.